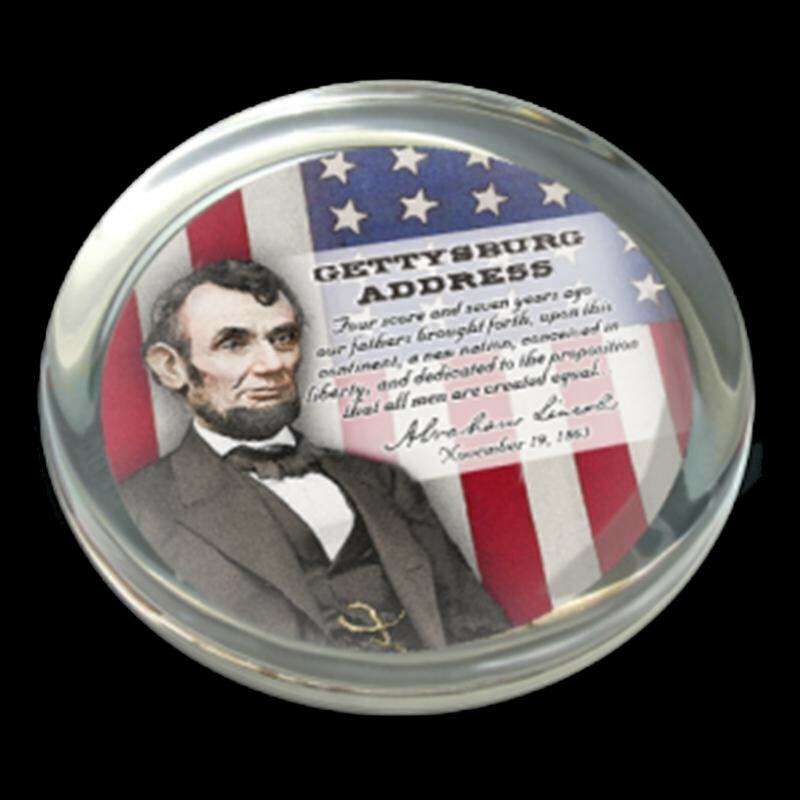 This classic collectable features an image of Abraham Lincoln and the Gettysburg Address encased in tempered glass with a felt backing. Item is packaged in a printed box with clear view sleeve. Educational text is included on the back of box.